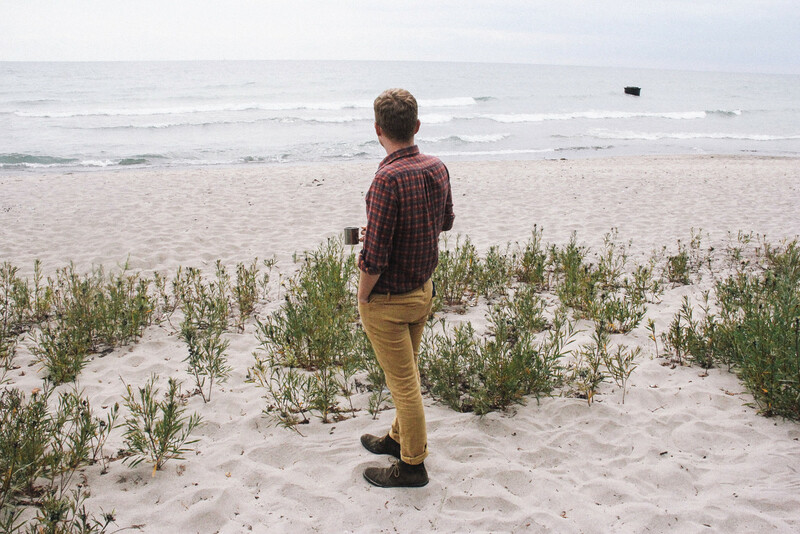 Working as a visual artist and illustrator, Ryan is an artist-in-residence at the Artscape Gibraltar Point – a former school that was spared demolition and in turn converted to studios for artists and writers of all types. “I’m pretty tidy, as you may have noticed,” speaks volumes for not only his studio space, but also his artistic practice. Clean lines, outfitted by black thin-tipped pens, with a penchant for architecture, form, pattern, often literary-inspired – think Richard Brautigan. Ryan’s aesthetic is a poised and precise one. Ryan is also an editor with Toronto-based Perish Publishing, which produces art books and the like, including a collective of his own drawings in Buildings and Bodies, hybrids of architecture and the human form. I was just talking to Alex Durlak, the editor. We’re working on a couple books for the NY Art Book Fair. I just finished another book for Perish, the second one of the Perish Plains series, that will be myself and Phil Woollam. We’re doing a big screen print for our book launch in Toronto. Phil and I have been drawing together for a long time, so it’s nice to do a good finished work. We kind of push each other. I set out the parameters for the series, but the way that we draw, one of us just kind of starts something and we pass it back and forth. We have somewhat of an antagonistic relationship, which I really enjoy. We pass things back and forth and he sometimes blocks something out that I did, or erases it, then I put something in that I knows bothers him – it’s like an argument but there are no words involved. I was always very drawn to art, I always took as many art classes as I could throughout school. I was always pretty drawing-focused. Not really realizing what it entailed to be an illustrator I went into illustration, because I thought, “I like drawing.” I went to school for illustration at OCAD (Ontario College of Art and Design) and that’s where I was driven toward it. It was like, “ok, now you’re going to be a professional illustrator because that’s what you studied.” And I did for a bit. I did some great jobs that I was really proud of, an op-ed for the New York Times, stuff for McSweeney’s and Believer, great publications that I was really proud to be a part of, but it was never a reliable source of income and it was a very frustrating pursuit. Thinking of it as a career really got me down. There were situations where I hadn’t worked in six months and was doing things I didn’t even really like. So I decided after a few years that it’s not my focus, and I’ve since been making more or less what I want to be making and I started working with Alex on his books. Without a doubt, the Island is my favorite place in the city. Outside of that I really like going to High Park, which I don’t live too far from. It is like my home alternative when I need to find some nature. I also really like Allan Gardens it’s amazing how quiet it can be there. I did the titles for a feature film. It’s an experimental film that was shot in Iceland, Italy and Toronto. I am not sure when it’ll be coming out, but it should be incredible – it’s called Two Cares Due None and the Toronto band Absolutely Free is doing the score. Melissa is co-directing it with another artist, which is how I got involved. Thank you Ryan for showing us your cozy studio, your world of limited edition art books and introducing us to Perish Publishing.